WBC Fleet offers a portfolio of GPS-based tracking solutions giving vital information to operational staff, remote workers, and fleet vehicles. We reduce your business costs, increase your profits, and can help keep you in regulatory compliance. WBC Fleet solution is capabe of collating parameters from all the different temperature sensors connected to devices to measure, monitor and report temperature levels of cold-chain and FMCG vehicles in real-time. When the corporate fleet becomes a tool to increase staff mobility, with our WBC Fleet solution you will not only have the total visibility of your whole fleet but also boost your own confidence of resources well-spent. WBC Fleet is an innovative web-based fleet management tool, available in its hosted or license-based delivery mode. The system gives you awareness of all the necessary KPIs for any fleet size without making you leave the office. WBC Fleet fuel monitoring system is constructed effectively to measure and manage the use of fuel within the transport network by implementing various methods and technologies to track its consumption. In countries where vehicle theft comes in place, our software has been designed to comply with any type of hardware to track your vehicles and alarm you of possible trespassing. Keeping track of fixed assets provides logistical and security issues to any company. By trusting the hard work of metrics collection, data processing and accident reporting to our WBC Fleet asset monitoring solution, you get more time for other business activities, pending your input. Multiple job-sites, off site repairs, and heavy-duty use add a level of complexity to managing the specialized fleets. We offer the trouble free service and powerful report-building tools with additional system applications that work precisely with agriculture. WBC Fleet has a history of supporting the most sophisticated projects. Along with reliable partners we develop add-on modules to manage fleets from tractors to specialized heavy equipment. Construction fleets have their own set of problems that make it more difficult to manage. With an enhanced level of scalability, WBC Fleet software provides analytics for fleets in all climates, environments and levels of accessibility. With a proud reputation of carrying out projects worldwide, WBC Fleet software will give you the competitive edge for bidding projects. Our software will do uneasy job of bringing you the essential data in the most comprehensive reporting format. WBC Fleet allows the development of apps on the basis of its SDK module, and also offers integrations with third party solutions and various billing systems. WBC Fleet is proud of its compatibility with a vast number of AVL trackers, thus becoming a professional B2B solution for driver behaviour monitoring, driver dispatching on top of various fleet tracking activities. WBC Fleet software already supports a number of projects in state sector developed for emergency teams such as ambulance, police, fire department and the command centers. The system consists of an operation management software, digital mapping applications, vehicle tracking and mobile data communication systems functioning in a fully integrated manner. With WBC Fleet software you get the total visibility of the real-time daily vehicle departure times, confirmed deliveries, and also get to monitor fuel use and idle costs. You get the complete report of where the vehicles are, how they are used and maintained, and are notified in case of agressive driving and speeding. 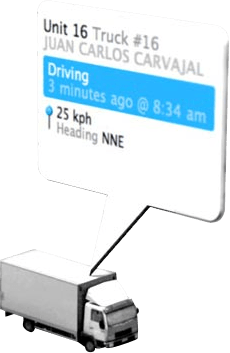 For additional task validation and communication directly with drivers in real-time you will avail of additional system modules to enable this. When it comes to fixed and mobile assets, WBC Fleet software components can be combined with different kinds of supplementary sensors and telematics devices, which allow remote monitoring of construction equipment, portable machinery, containers and electronic equipment in an easy and manageable manner. WBC Fleet asset tracking solution is ideally designed for monitoring the machinery and other equipment as well as people and vehicles. Keeping track of all these assets solves logistical and security issues for any company, thus improving resource planning. WBC Fleet offers M2M wireless communication solutions that span numerous applications. Our real-time technologies provide the solutions to move data wirelessly, in a cost-effective and reliable way, enabling greater efficiency in the management of mission-critical data. 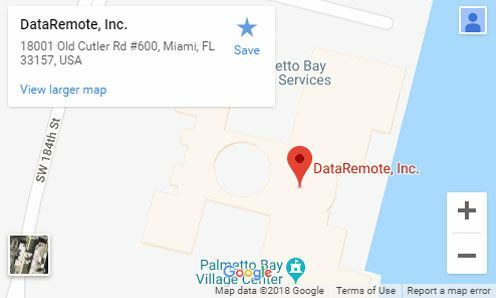 DataRemote has a team of sales and support engineers that no one can equal!